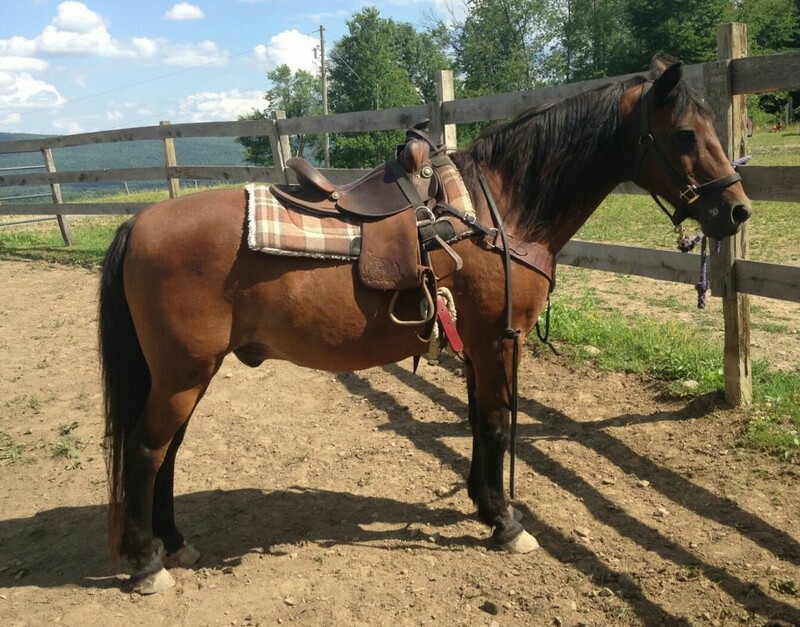 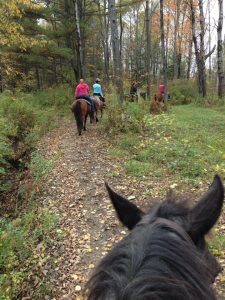 Brass Ring Farm offers a horseback riding experience that your family will want to repeat each time you visit the Coopertown area. 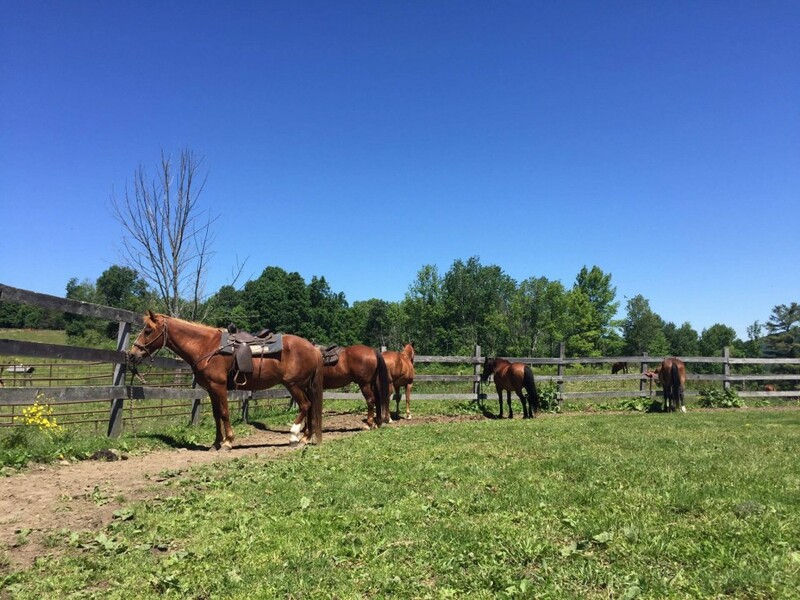 Take some time during your vacation and meet our beautiful horses and ponies. 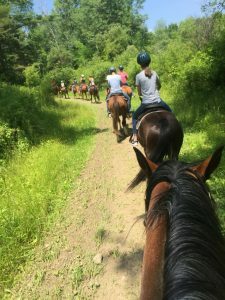 Our trail rides wind through serene forests teeming with wildlife and sun-drenched meadows, peppered with wildflowers. 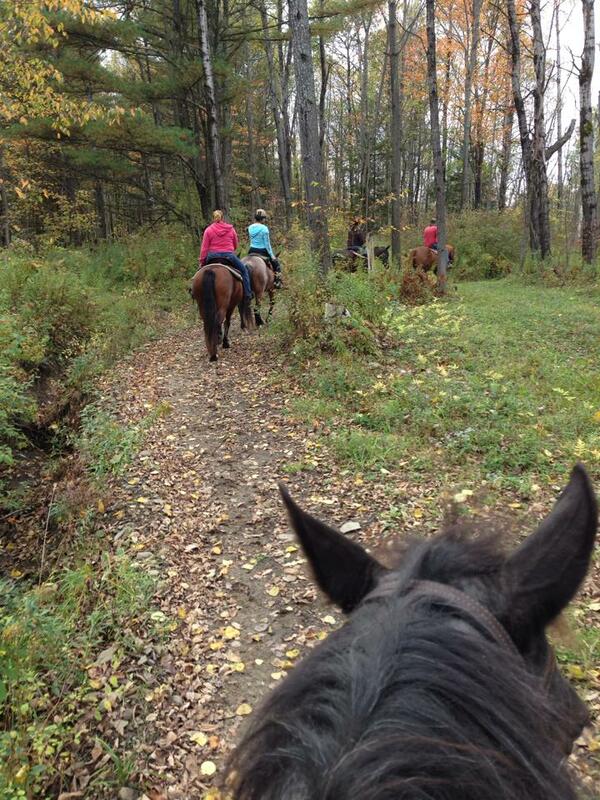 Children under 10 can enjoy a ride on our friendly and adorable ponies. 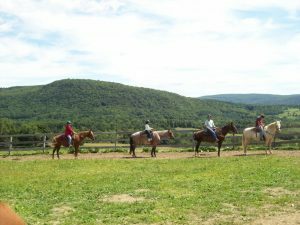 Summer is our most popular season, but rides are available whenever the weather permits. 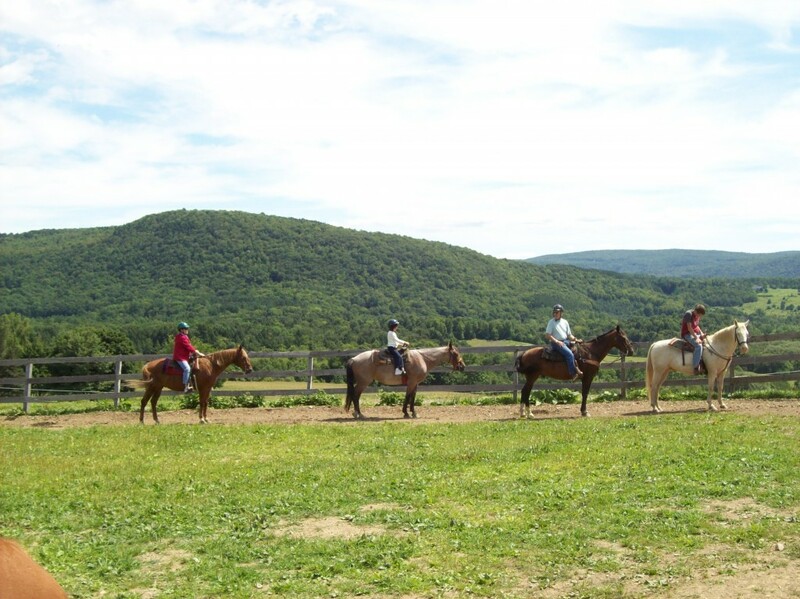 The view of the fall foliage from our farm is spectacular and not to be missed.